Nova Scotia Premier Darrell Dexter says the provincial government will give $50,000 to the MassGeneral Hospital for Children in response to the bombings at the Boston Marathon. Dexter rose in the provincial legislature today to express his condolences after Monday's bombings killed three people and injured more than 170 others. He said Nova Scotians share a special connection with the people of the city, particularly after Bostonians helped after the Halifax Explosion in 1917. "When we were in need, Bostonians were there," said Dexter in a news release. "There is a border and hundreds of miles between us, but Massachusetts is always close to the hearts of Nova Scotians. We will do everything we can to support our neighbours and friends in their time of need. 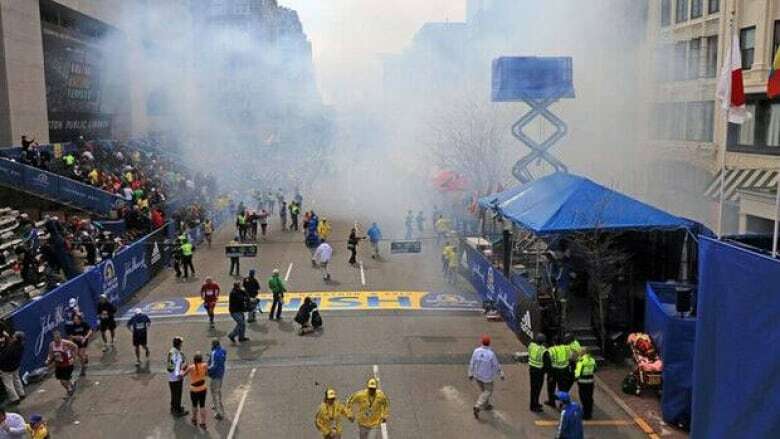 Boston's resilience and fighting spirit will persevere." He also paid tribute to the volunteers and first responders who helped following the explosions. Dexter said "We cannot allow ourselves to have our lives, the things that we participate in, the very nature of the communal relationships that are important to society damaged by those who would simply do evil." All of the people from the Maritimes who ran the marathon are accounted for and are ok.